Victory Visions has expertise in developing software solutions. We develop software in stages to achieve a bigger goal. Victory Visions builds software for a variety of clients and purposes, We create secure and high-performance software applications. Our solutions are based on latest software technologies. We make our software reliable and user-friendly. We have extensive experience in working in all phases of the software development life cycle including online data collection, writing functional and design specifications, coding, QA,data processing, analysis, document management, online signing, online reporting and business intelligence, maintenance, support and etc. 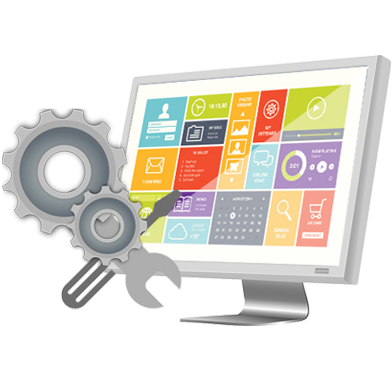 We also have the flexibility of aligning to and adopting client's processes, we can build either a static website or dynamic website , Whether it be commercial software, enterprise software or branded software to help companies distinguish themselves in their marketplace. Our Qualified professionals play a major role in identifying the best ways to optimize the customer experience and monetize your data or content. Depending on your needs, we provide support at competitive rates with the best-in-class software professionals, provide end-to-end business solution to address the support and software maintenance services also help you to keep one step ahead your competitors by continuously improving your IT-based business solutions. We build long term relationships with businesses all over the world. Software development technologies that we work with are Java, JSP, ASP.NET and PHP and AJAX technologies with MySQL, MS SQL, Oracle and MS ACCESS as database.